What’s the secret to great head movement? It has to do with understanding what good head movement is and how to do it. You’ll need to learn the different styles of head movement and how to train the skill. Even with all the tips I’m give you, you’re still going to get hit a lot. For the serious fighters, you don’t really have a choice. Head movement is a standard boxing skill you need to be competitive. Your head can only take so many shots from trained opponents. But I promise you, there’s no greater feeling than being able to completely avoid a punch (besides a KO). Head movement is possibly one of the greatest and most unique arts of boxing. I’ve never seen it in any other fighting art. Not in wrestling/BJJ/judo, in muay thai/kickboxing, kung-fu. So many of these other fighting arts are fantastic and creative at attacking but none offer anything as beautiful as the art of head movement. The idea of head movement is basically to move the target. Instead of trying to defend the target (your head) all the time, you just move it. This way, your hands are free to attack. The art of head movement is so misunderstood that to the untrained eye, people think boxing is brutal and raw and mindless because the fighters on TV don’t seem to be defending themselves. doesn’t always look like movement. What makes it even more difficult to understand is that the best head movement doesn’t even look like head movement. The more subtle, the better! This is why I don’t expect people to understand boxing in the first few years. You can’t learn it until you are exposed to it in the ring. You’ll never find it if you go looking for it; you have to feel it. The greatest benefit of head movement is to free your hands so that you can counter immediately. Your hands can fire back sooner if they’re aren’t needed for blocking. You’ll always be one step behind if you have to defend before you counter. The next best benefit is to make your opponent more vulnerable. Opponents are left wide open or can fall off balance when they swing at the air. Opponents also get more tired when they miss completely. Faster opponents can only be countered with slipping. at the highest levels of boxing. At the highest levels of boxing, head movement is not a benefit, it’s a requirement. The faster, more mobile, and more skilled your opponent, the more head movement you will need. You can block all you want against faster opponents but they’ll definitely be gone by the time you come out of your shell to counter. The really skilled guys will always be closed up. You can wait all day for the opening and you’ll never find it. The only time you can guarantee that an opponent will be vulnerable somewhere is when he punches. And how will you take advantage of that if your hands are used up for defense? You need to slip punches to make him miss and make him leave himself wide open. Against faster opponents, you might have to slip multiple punches so that he swings wider each time until you see the opportunity to counter. If all you do is block, he’ll keep attacking you and you’ll feel like if YOU open up to counter, YOU will be hit first. The real goal of head movement is offense. You defend with head movement so that your hands are free to counter back. If all you wanted to do was defend, you can just back step or move away entirely. Unless you plan to fire back, there is little reason for you to use a defense that leaves you in range. Head movement is an awareness. The real trick to head movement is really head awareness. You have to feel where your head is positioned and feel how it affects your movement and your opponent’s movement. Your head position affects your balance and ability to throw or defend against certain punches. Your head position can also communicate your intentions or cause your opponent to react a certain way. Even a slight tilt of the head can telegraph (or help fake) your next move. You have to know if your head is too close or too far, you have to feel around for an easy and safe place to put your feet. Head awareness tells you when and where to move your head. Focusing on just head movement (rather than head awareness) will waste time and energy because you’ll be moving your head all over the place without knowing where to place it. You’ll only end up moving a lot more because none of it is working, you’ll get tired, and you’ll still get hit anyway. I think of head movement the same way as I would with offensive awareness or balance awareness. For example with punching…at first, you learn how to throw punches. In that early phase, technique is your pure focus, where you end up worrying so much about the elbow and the wrist, and the foot and all that. But then after that, you start focusing on accuracy and timing. You work the mitts more and see them as being more important than the heavy bag. 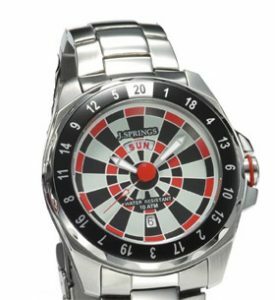 And finally, you no longer focus on technique or timing, but you just get in the ring and look for targets in your opponent. Same with balance. At first, you learn how to strengthen your legs, and do all these footwork drills. But in the end, you develop better balance because you know where your axis is and you know how to adjust your body during a fight so that you don’t fall off balance. And now same with head movement. Most people learn head movement as some kind of secret technique or pattern as how to move the head so that it can avoid jabs, crosses, hooks, etc. And then you start practicing this movement in the mirror or on the slip rope, right? And then you get in the ring, and the technique goes out the window because your goal is just to get the hell out of the way. The way you slipped in practice doesn’t always resemble the way you slip in a real fight. At the end of the day, what matters most is that you become more aware of your head position. You develop a sense of awareness for where your head is during a fight, and you become intuitive as for what punches are coming next. And you develop a natural reflex of where to move your head and by how much and where to move it after that, and so forth. You realize all the slipping techniques in the world don’t matter because everybody throws different punches from different angles. And that effective head movement actually requires very little movement. The skill—or rather—the AWARENESS of head movement is all that matters. It’s not about back muscles, not about speed, not even about knowing the exact secret technique to slipping. If you can see the punch, slipping it will be easy. *** See how I move my head. See how subtle head movement looks up close. So now we start with the beginner phase of learning head movement, which is the technique part. Just remember that the focus is on HEAD MOVEMENT. Some of this could be called slipping, or rolling, or bobbing & weaving, etc…but I don’t want you to think of it as boxing defense. The moment you start thinking of head movement as defense, you start to worry about the opponent’s punches and get distracted from your movement rhythm. I prefer that you think of head movement as simply a way for you to change your body position so that you can find a new stance from which to attack from. The head movement is to change your stance to take you out of danger into a new position where you can threaten the opponent. into a better offensive position. Circular head movement is the first style of head movement to teach because it’s easy to do. Circular head movement often goes with the flow of movement making it easy to conserve energy and makes it less punishing if you get hit. is good for flowing and relaxing. Imagine a circular path of moving your head. It’s possible to roll your head through completely as you go over and under punches and come back around with counters. But it’s more likely that you only use half or a quarter of the circle with each movement. You can use circular head movement to roll WITH the punches (staying inside of them), or slipping AGAINST the punches (going outside of them). I can divide this circle into the top half and bottom half. If I move my head along the top half, it becomes a circular slip. It can also be a shoulder roll if I bring shoulders more sideways. If I move my head along the bottom half, I can roll under punches. Some of you might call this the “bob & weave”. I can divide this circle into a left and right side. I can move down to either side to slip or roll punches. Angular head movement is faster and more surprising to an opponent but also harder to do. Angular head movement is more about speed and quickness rather than rhythm because you’re often moving your head against the punch. is good for making quick movements. Imagine moving your head along 2 triangles. Notice how all the movements are straight lines. You’ll be quickly and suddenly pulling your head through these lines to cut around your opponent’s punches. Angular head movement can be used to slip as quickly as possible. I can move my head along the top triangle. From the top, I can slip my head straight down to the sides. From the sides, I can slip right back to the top again, or I can cut my head right through the center to the other side (very daring). I can move my head along the lower triangle to get under punches. From the sides, I can cut to the other side or slip to the bottom to get under punches. From the bottom, I can pull my head up to any side I want. You may have noticed that I place my head SLIGHTLY off-center. This allows me to move my head down to my right side, up to my left side, or down to my left side. From here, I feel like I can move in 3 directions whereas if I had my head perfectly at center, I would feel like I could only bring it down one side or the other. It’s a small detail but makes me feel like I have many more options. You can use other positions. It doesn’t matter if you’re in the front or the back or the side because you will always be moving throughout all positions in the fight anyway. The best tip is to move your head and hands to wherever needed to land the counter you want. Many fighters are still confused about where to put their hands while slipping. Many have been taught to keep their hands up even while slipping like Mike Tyson’s peek-a-boo style. And while this technique is logical, you should know that the ultimate goal of slipping is to be able to counter immediately, sometimes even simultaneously as you slip a punch. Which means you should be more focused on throwing counters than to be focused on 100% avoiding a punch. If you’re looking to avoid 100%, you might as well use footwork or just block. No point in wasting energy by slipping as you block. There’s also a matter of purpose. You can keep your hands at home if you don’t want to fire back just yet. Maybe you’re still out of range (like Mike Tyson) or maybe you’re still waiting for a specific counter-punching opportunity (because the guy is too fast, or you’re looking for a KO). Allowing your hands to come down from your chin a little can help you move faster since your hands won’t weigh down your head. 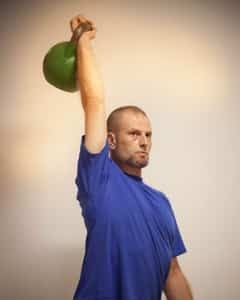 This allows you to be more slick because the hands can counter-balance or your upper body as you tilt your head. Not relying on hands as you slip will give you the ultimate goal of being able to throw punches as you evade your opponents. Place your head and hands wherever you need to land the counter you want. It’s all about the counter. Decide what counter you want to throw and move your body into that position when you slip. If you want a counter hook, then your head might have to be on the inside and your front hand loaded a tiny bit. If you want a counter right, your head might have to be towards the center or even the rear a little bit, and your right elbow ready to give you the angle. Look at it this way…the best defense is offense. It doesn’t matter how good your slipping is, your opponent will keep firing until he hits you or until you hit him. Anytime that you throw a punch, you’re basically open somewhere. Instead of thinking of it like “throwing punches as you slip”, think of it as “using head movement as you throw punches”. Sometimes you’ll need more head movement, sometimes you’ll need less movement. Your hands should be focused on throwing punches, not blocking them. You’ll eventually eat punches if you don’t throw back. As I’ve said before, the real benefit to using head movement is that it increases your ability to counter. And so now you have to add some counters with it, otherwise, you’re just wasting energy by bending all over the place and wearing out your back. Throw a punch from the side you just slipped from. If you’re SLIPPING FROM RIGHT to left, THROW A RIGHT. If you’re SLIPPING FROM LEFT to right, THROW A LEFT. You should be able to throw a punch anytime that you move your head. Sometimes you might prefer to keep your arms in or throw lighter punches so that you can slip faster to wait for the bigger counter opportunity. Other times, you’re pinned on the ropes and want to fight back immediately as you move your head. Other times, you prefer to be more one-sided, for example: only throwing right hand counters as you slip and leaving your left arm at home as you slip on the other side. It’s up to you. You decide when it’s worth it to throw. The important detail is that you always try to move in a way that allows you to counter. Avoid doing the awkward slips that leave you in weird positions that don’t allow you to fire back. that don’t allow you to punch back. I can throw jabs to the head or body when I slip down to my right side. I can throw right hands to the head or body when I slip down to my left side. I can throw a nice up-jab when I go from the left side back up to the center. I can throw a counter right when I bring my head from the right side back to the center. Combining the previous two, I can throw a counter-jab as I slip down to my right, and then a counter right as I slip back up to the center. I can also throw uppercuts or hooks (head or body) anytime that I cut from the sides to the middle or across the middle. I can throw a counter jab or left cross or left hook when I cut my head to MY RIGHT. I can throw a counter right when I cut my head to MY LEFT. I can roll down to my left to dig left hooks to the body. I can roll down to my right to shoulder roll into an uppercut counter. I can also stay low and then roll up the left side with a left hook counter on top. Or roll up the right side for an overhand right. I can throw jabs or crosses (especially to the body) when I slip from the sides down to the center. 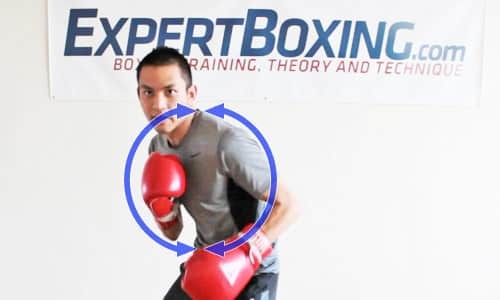 I can throw hooks or uppercuts (especially to the body) when I come up from the center. In case some of you are starting to feel overloaded by all the new possibilities of head movement, I’ve made a simple list of the more common head movement patterns below. If you don’t understand some of these, don’t worry about it for now. I can explain it later with more images and video. I can’t say this enough. You’re not supposed to be yanking your head all over the place. The reality is: your head is still very much at center. You don’t need to move much to avoid a punch. Your opponent’s glove is maybe 6 inches in diameter and probably not aimed right at the center of your head. Which means you only need to move your head a few inches to slip a punch. A skilled fighter needs only a simple twist of the shoulders and a little flick of his head and he’s completely in the clear. A beginner fighter will probably swing his entire body off balance from one side to the other and STILL not be able to avoid the punch. I’m not asking you to be slick in one day, but just know that slick is better. Slick is subtle and more effective. It’s better because it takes less muscle, less energy, and less effort. If you want to be faster, you have to find ways to move less. Moving more will always make you work harder and get more tired. Moving more always loses in the end because you’re working harder than the other guy. It’s impossible to be faster by doing more work. The key to effective head movement: BE SUBTLE. All the fancy diagrams and arrows I drew in Photoshop are simply for demonstrative purposes. When I’m fighting, I do my best to keep my head at the center (moving as little as possible from the center). It’s the most balanced position and gives me the best options in terms of mobility, and opportunity to attack with the other hand. I move only enough to avoid the punch and then I put my head right back in the center. If anything, I try to force my opponent’s head off the center. Because I know that affects his ability to fight back. The more he has to move his head, the more off-balance he gets. And the more off balance he is, the harder it is for him to move, the longer it takes for him to counter, the more one-sided his counters become, and the more tired he gets. It’s harder to fight when you’re off balance. Time to learn some ways to shake off the aggressive opponents. Try to do all this with as minimal movement as possible. 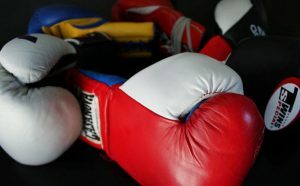 Practice on the mitts first before you shadowbox and try it in the ring. I don’t recommend for you to do first in shadowboxing (if you can help it) because that’s how unrealistic movements are created. There’s no rule saying you have to use common head movement patterns. It’s natural for everyone to come up with their own defensive style. It’s natural because everyone’s body is different. And every opponent fights differently. A faster opponent opponent might force me to use more angular head movement, whereas a volume puncher will cause me to use more circular head movement. I like to use angular movement against straight punches and circular movements against wider punches. I also tend to be more circular when I’m trying to engage guys in a brawl, whereas I like to be more angular when I’m trying to potshot them and not give them any chances to touch me. Mix everything up. Cut to one side, but roll to the other, and then cut back and forth and maybe roll over and under again. It all depends on the situation. Every skilled fighter has his favorite patterns for shaking off aggressive fighters. For me, it’s two cuts side-to-side, and then I come right back up top with hard counters. Another favorite of mine is to cut down to one side, roll under, pivot with my feet and escape or counter. Imagine that GOING UP can also be the same as PULLING BACK. And that GOING DOWN can also be the same as TILTING FORWARD. So for example: instead of pulling your head up and over a right hand. You could pull it back out of range as the right hand misses. You could also pull your head back to avoid a hook instead of going under it. You can apply all these conversions for both the circular and angular head movement. A tall guy might prefer the NEAR-&-FAR movement over the OVER-&-UNDER because it’s harder for him to get under punches. A short guy likewise might also make the same preference because it’s harder for him to get over punches. Besides a shorter fighter might prefer to get closer to get more in range, rather than going under which makes it harder for him to counter. If he’s short enough, getting close is more than enough to make an opponent miss. Personally, I like the NEAR-&-FAR type of head movement because it allows me to be tall and use my reach. These are my favorite ways to practice head movement. After you get the technique down, it’s time to work on that flow…and that awareness. It’s not about speed or reflexes. It’s about making it natural and comfortable. Because it’s hard to use new technique if it’s not natural. Be prepared to spend years of your life to master this art. Anybody can throw punches…getting out of the way of them, that’s a whole other world of skill. Check yourself in the mirror and FLOW. It’s not about jerking your head around. If it feels like a jerk, it’s probably not going to work in a real fight. It should feel like a release, not a pull. Kind of like how snapping punches should be a release, not a push. Same theory applies here. You should feel like you’re simply releasing your head from place to place. After a while, you’ll find a natural rhythm in your body where your head will naturally bounce around or slide to different spots easily without you having to force it there. I accomplish this by knowing how to relaxing my upper body and legs in a way that gives it this flowing movement. Slow sparring is the best way to develop head movement for the more experienced fighters. There’s nothing as exciting as getting in the ring with new opponents and seeing all the new ways that they throw punches. It’s a game for me to spar somebody new and have to find new ways to slip around his punches. If you’re going to slow spar, focus on seeing the punches. Don’t worry about trying to slip everything. What’s important is that you expose yourself to the new angles. After you can maintain 100% eye contact and become aware of every punch, you can start by trying to move your head to a rhythm. And then AFTER YOU establish a head movement rhythm. Then you can finally start trying to move it in a way that actually avoids punches. So there you go…. MAINTAIN EYE CONTACT, then ESTABLISH RHYTHM, then try to AVOID PUNCHES. Too many beginners do the opposite. They go straight to trying to avoid punches that they end up breaking eye contact, breaking their rhythm, and getting into weird awkward positions. It’s really the rhythm that protects you in a fight. Because boxing is a combination attack. Getting hit every now and then is ok, but it’s not cool to get hit by 2-3 shots in a row. And the only way to avoid those is to catch your opponent’s rhythm. Once you’ve got the rhythm, you’ll be ok even if you do get hit. will help you attack and defend in combinations. Mitts are great for practicing the common head movements. 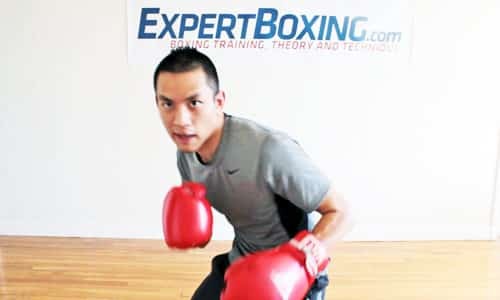 You’ll learn the basics to head movement like how to slip a jab or slip a right, or how to roll under punches. A great thing about the mitts is that your trainer can force you to work your defense at the same time as your offense. You can also use mittwork to simulate and focus on evading specific punches (like the southpaw left cross, hooks to the body, etc). The problem with training on the mitts is that you always end up doing more work than is necessary. It always happens that hitting the mitts becomes a game of showing off. The harder you hit, the louder the sound, the more people look, the mightier you feel. And the slipping becomes a race to beat the punch as fast as possible rather than to develop the skill of being comfortable around punch. The biggest tips I can give to training on the mitts is to focus on being relaxed and natural. When I train a fighter on the mitts, I stop him right away if he’s not being relaxed or if he’s not being natural. If you’re jerking your head all over the place to avoid the punch, it’s not going to work in the ring. It might work for the first 30 seconds, and then after that you get tired and you won’t be fast enough to use head movement anymore. Try to relax and focus on getting that rhythm. If it means hitting with less force, then so be it. If it means slowing down the speed of your combinations so you can develop a steady rhythm of simultaneous offense and defense, do it! You might have to get hit a few times because your relaxed movement is not as fast as your herky-jerky movement. Practice being relaxed on the mitts so that you can relax later in the ring. Relaxed doesn’t mean being lazy or less effort. It means being more effective, and moving your the body way the it was meant to move. If you feel like you can only move your head 5 inches comfortably, stick with that. Find a way to make that 5 inches effective. Make a technical adjustment so that it stays an easy movement. If you make it a physical adjustment and try to slip extra or use more movement, it will always be difficult especially during a fight. I like these boxing tools because they force you to be aware of attacks coming your way. Even if they don’t force you to slip faster or move better, they at least keep your eyes alert as you throw punches. As I’ve already said before: half the work of avoiding punches is being able to see the punch itself. At the end of the day, there is nothing better than having a live opponent throwing real punches at you. The best is still slow sparring and mittwork. I don’t know why some people think it’s effective to practice slipping on the heavy bag. At best, it improves the body coordination to move your head around. But it won’t develop your reflexes and won’t teach you how to develop a fighting rhythm against different opponents. You can still slip imaginary punches on the heavy bag but do know that it’s practically worthless in terms of developing fighting reflexes. If anything, it’s a good way to get you used to throwing punches from different stances. But then again, great head movement shouldn’t alter your stance too much. What is great head movement? Great head movement is so subtle, so clever, unexpected, almost magical. It’s so much more than just trying to avoid a punch. It’s about being able to do so much using so little movement. Boxing head movement is an art. I wish, oh how I wish so badly, to be able to teach you how to have great head movement. In fact, if I could teach you how to SEE great head movement, that alone would be enough to eventually get you there. At a higher level, head movement not only messes with the way the opponent punches, it messes with the way he feels. A slick fighter can make you feel like his head is really far but yet he’s able to reach you. Or vice versa, he can make you feel like he’s very close but he’s never there when you try to hit him. He can find holes in your stance where he can place his head close to you without any fear of your counters. You become more afraid as he keeps finding new positions to attack from and you feel like you have no defense from him. Great head movement can make you second guess yourself as you pull back on your punches or make you trip over your own legs. You want to throw, you’re about to throw and somehow you don’t. You see the guy in front of you but you don’t know where the hell he is. There’s the kind of head movement where the guy feels slick and hard to hit. And then there’s the kind of head movement where it feels like the guy knows exactly everything you’re about to do. Or maybe that he’s making you do everything he wants you to do. He’s not only controlling his head movements, he seems to be controlling yours too! Great head movement confuses your opponent and frustrates even the spectators! Great head movement, baits, teases, takes your opponent off balance, delivers the counter, and sets you up in position to do it all over again. Your the man! I’m 3-0 in ammy MMA and your videos helped greatly in filling in my gap in techniques. I have my first Muay Thai fight coming up and I will deff use some of the stuff that I can cross over. Keep it up! Good luck to you! Let me know how you do. What’s the correct hand placement when working on your head movement technique? Meaning, while you’re moving your head out of harm’s way and right before you actually counter. I noticed in your video that you keep your hands quite low. Not sure if that is for demonstration purposes only as you’re showing the head movement, or if this is because you tend to fight with the Philly shell and are used to keeping your lead hand low. a bigger block- meaning my head together with my hands close to my chin. This makes me tired faster and makes me feel slower but it’s like insurance in case I fail to see the third punch in a combination. So my solution so far has been, work on my conditioning more. I can do the head movement you’re talking about when sparring with a beginner with limited speed, because I feel I’ll be able to see all the punches. But, when I spar with guys that change levels all the time and use faints etc., I don’t want to risk getting knocked out. So the question is, should you develop the head movement awareness to the point that you don’t need to keep your hands right on your chain, so you can move your head faster and easier with little movement? More like Roy Jones jr. type? Great question, Carlos. I immediately added more to the article to help explain that part. You can do both, dropping the hands vs keeping them high. It all depends on your level of skill, comfort with the technique, and fighting strategy in the moment. The ultimate goal is not to rely on your hands all the time during slipping. This doesn’t mean allowing yourself to be more open then you need to be. It just means to eventually work your way up to having the freedom to do whatever you want with your hands. The more free your hands can be as you slip, the more offensive you can be when you’re on defense. …or Prince Naseem of course. I’d add that Naseem uses a lot of footwork to remain balanced… so may be he’s not the very best example for your excellent piece here.. may be Roy Jones Junior could be a better match? Naseem is a genius to me in the way that he moves. What he does and how he’s able to do it. There’s nobody like him. But of course, there are many different styles and I like to recommend them all. I agree with Nicolino Locche and Prince Naseem. I also like Floyd Mayweather, James Toney, Joan Guzman, Pernell Whitaker, Bernard Hopkins, Mike Tyson, Guillermo Rigondeaux, and Miguel Cotto among many others. Great! I’ll a have a look to everyone ASAP! There is a possibility that the first and second Sonny Liston vs Muhammad Ali fights showed excellent head movement by Ali. Sometimes, Ali would have his hands down and face forward, daring Liston to strike. Liston missed and Ali would taunt and counter-punch very effectively. Congrats on a great website and this article is Excellent! I am a former Boxing Coach sidelined for the moment with a spinal surgery that will require a long rehab. 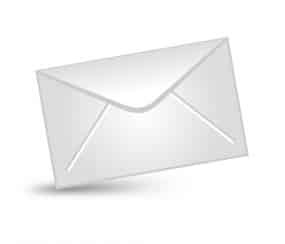 My advice to your readers is first to pay careful attention to what you are posting and modeling through video. Read and watch several times and maybe take a few notes. Then get off the computer and try some of the ideas presented slowly in a static fashion. Work mechanically in slow motion first. Once you ” feel ” a move you have the first part of learning it down. After the mechanics are down you can move to a more dynamic practice with pads, double end bag, or partner. Go slow! Look past the physical technique to the principles behind what is being demonstrated. If you are just copying Johnny and don’t know why you are wasting your time. This stuff takes time and hours and hours of practice. I have heard it said, Practce makes perfect. Not so. Perfect practice will make you better and you only really know if it works if YOU can make it work in a fight or at least sparring. Good training to you all and thank you Johnny for you good, honest work! Thank you for the comments, Mike. I hope your spinal surgery goes well. One of the trainers at our gym has had spinal problems for years and still suffers from it today. thanks for the article, also just in the nick of time my coach said i needed to really do head movement more. Great article, but I think you focused only on two “dimensions”… eg LITTLE movements backwards? I found them ideal to counter.. or what about deciding to TAKE punches on the forehead instead of slipping it? Probably you will talk about head movements again in the future, and I can’t wait to read and re-read your words. This is a great point, Diego. I’ve added a section to the guide on 3-dimensional head movement. I didn’t talk about taking punches on the forehead because that should be put in another guide along with similar tactics. Thanks! I’m honored and again I’m amazed by your work… the move forward idea… so right and so unusual to the “standard training”! Head movement was what first got me into watching boxing. In karate, the focus is all on blocking and moving the body away, but I remember watching a boxing match where one guy threw a right cross and his opponent just rolled his head under it and I was blown away. It looked so slick, so efficient, and I hadn’t seen anything like that before. This was a video / article that I was waiting for and didn’t even know it. Thanks for posting, Johnny – and a great job of updating the article to address readers questions – much appreciated! Exactly! Boxing is the only sport with its level of highly refined head movement! Somebody give this man a Ph.D… Thanks again for another great article.. you never cease to amaze me in how well you explain concepts. Thank you for putting in the time to create the useful diagrams too. This has got to be the most complete breakdown of head movement I have seen, very well done. Thanks, Levi. Nice hearing from you. I’m happy to see the progress you’ve made with your organization/website. Thanks it is coming along slowly but surely. Another informative and interesting article Johnny. 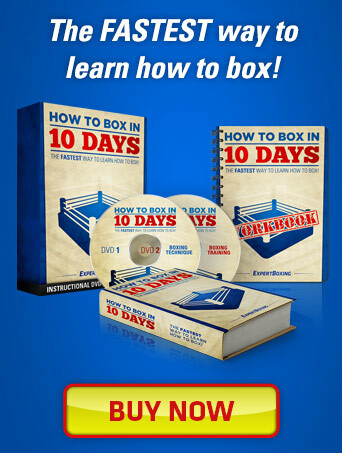 Are you someday going to make an amateur boxing workout? I’m just curious because you said in one of your previous articles. Regardless, keep it up! I’ve decided not to do it anymore because it would take forever. It’s a lot of work to explain exercises, what it looks like, how to do it properly, and then explain how to adjust it to your needs, and to do it for over 100 different exercises. This would have to be a lot of pictures and video. I might consider it as a premium instructional video later but not right now. Thanks for your website. I have been reading it for a few months now and I do boxing in Singapore. Boxing is at a rather low level here and I learn more from you than I do from any of the coach I pay here. Just for example, this article on head movement, non of the coaches here would have known about it, much less the boxers. You are my boxing coach really. Thank you! Keep training hard and I hope better training opportunities open up for you. NICE! Great article to put something so difficult into words that everyone can understand. I like the concept of the paradigm shift of thinking of slipping as maneuvering into position to throw a punch in a counter rather than as a defensive technique to dodge. Hopefully this helps me as much as your dancer story. That one helped my boxing stance and movement considerably. putting the head at center cause you to be in the line of attack? You’re going to be attacked regardless of where you place your head. The idea is not to give up your preferred punching positions when moving your head. Hey Johnny: how much do you weigh? I’d like to spar with you. What do you think with Anderson Silva’s head and body movement? Silva’s head and body movements are great. He’s been quite successful with it…but of course, it works best when you follow up with punishing counters. You can’t give a guy free shots forever. Great article, I like how you say its offensive and not defensive, two of my favorite fighters use it for that purpose, Julio Cesar Chavez sr( underrated head movement and canelo alvarez he is the head movement master. they both come forward and apply pressure. what do you think?? I like both of these guys. Nice clean style with good movement and good power. They’re both champions so you know their techniques are successful. speaking of Anderson silva head movement I think he over does it and can some times get him self in off balanced . Anderson Silva breaks many of the rules. And is quite successful. It’s more so his fighting talent that makes him a success rather than his technical oddities. @jerry Great foresight pal! Weidman vs Anderson #1 is a pretty obvious example of that! great article. the key is that near-indescribable thing, just relaxing around the punch and keep eyes on it. figuring out how much it would take to avoid the punch. pull back, go to the side or under. one can indeed avoid any shot in different ways if they could just RELAX. keeping eyes open, a hand up for countering. getting the right angle using the opportunity. i think u should have include the tech of rolling the head with the punch in its direction, taking the speed off. back when i was taught no one listened to coaches everybody was a hothead no slow sparring. it was scary not to make big slips and duck as far as your legs could take u. keeping hands up was necessity not luxury. when i learnt from an opponent how to roll the head, i found it to be a miracle. knowing that turning the head last moment makes dangerous punches into glancing onces took 50% of my fear away. i then could relax, make tiny head movements. keeping me in balance to throw counters and more `daring’ leads. i learnt how to get it done proper. and im 100% on board with the offcentre head position, its just the best go-to stance for most slick guys. cutting the jab outside is so easy. allows for imo the best counter to the measuring left hand, the right hand counters uppercut to body too though few use it. and getting to the top of the triangle after having cut right or left (ur words) is really easy and allows for a measured left hook counter (not to the body though). not as tiring. to me, rocking on back legs, turning torso, taking small steps to the side or back and pivoting with front and back feet are the subtle ways to get head movement without really moving the head. im not even a proponent of too much slipping: just leaning back, and taking small steps which naturally force my head to move. stepping the 4 directions and pivoting with them creates angles and obviously moves the head. imore than anything its about being relaxed, seeing the punches, balance and subtlety. also how about moving up at angles every time there’s head movement ? slip right and pivot anticlockwise, slip left and pivot clockwise, slip left and move diagonally etc ? only the most advanced fighters do it regularly, everyone will throw in a few. i think it’s just that people cant measure the difference a pivot makes to the opponent because they dont have someone that level to spar against. slipping and pivoting or even pivoting slightly while moving into range creates baits opponents will want to jump at. doing it right, the baits allow for the defensive reaction or the counter to be even more effective or heavy. slip inside a jab, stepping forward slightly but more to the left with left foot. the opponent sees the open left side, so tantalizing. he doesnt realise by crossing his path diagonally your right hand is 2/3 the distance from his face his right hand is from yours, and that pivot off the left foot clockwise with a check hook will hit him harder than his right hand. even defending is easier, since pivoting anticlockwise will take you out of the right hands range, pivoting left will cause the left shoulder to block the right hand, slipping inside the right needs just a standing up action, and leaning back will increase distance more than normal because your stance is wider. again they arent active movements with the feet (much like the diff between `slipping’ the art and just slipping as in breathing or walking on the street relaxed). theyre just awarenesses, a radar adjustment of sorts creates subtle angles and distance changes for your opponent. the walcott shuffle is probably my favorite footwork move, and the shot roy jones landed on toney was subtle footwork over masterly head movement. pernell whitaker had great head movement but he also took small foot slides and pivots that allowed his head movement to look stunning. toney too. george benton, willie pep, loche, benitez. the true kings of pretty much clean defensive fighting are constantly taking tiny steps and pivots between every slip duck and punch. not that there’s much footage of them so let’s say at their best, theyre always moving small steps. floyd is a spoiler who dont allow opponents to be in range for multiple shots. they dont take those small steps except to bait their opponent or get in range. bhop and ward spoil too-but they will use small steps now and then when they are avoiding and baiting. and i agree hands up when moving quick and close is hard to balance. i use a wider stance for balance and i parry with my elbows agaisnt body shots and hooks/overhands so i dont drop them. just swinging the opposite elbows out is a good serves as a good counterbalance. All valid tips, thanks Saber for another great comment! I never knew about mostly using feet & leg movement as the shift of head movement & narrowing your body position – I started out my head movement with noodles/sticks OR partner wearing soft gloves with guys who only want to hit fast right off the of the bat, As you suspect I wasn’t avoiding shots & then I made my own version of a (Pitball – floor to ceiling ball with a light tube & foam sponge covering attach to top of ball that assimilates a striking arm when hit ball) – still my slips failed even though I can slip all the jabs – haymakers – bombers to the ball, but an actual thinking person I get hit easily, I’ve just tried slipping from someone shadow boxing on YouTube & I had to slow him down by an actual 3rd of his speed before I could even slip. Hit him before he grabs your forearm. OR if he grabs it, extend the arm or move yourself out the way so your free arm can fire at him. Amazing as usual! Johnny thanks boss for being here. I’m in the Army and don’t always have access to a real boxing gym. I typically bring my wraps and focus mitts and train others. But I’m sure you know that getting boxing advice/training tips can seem like a long lost secret. It’s awesome how you break this down into real advice. Even my old coaches seemed to realy on “you will figure it out in the ring” mentality. Not the best idea. Keep up the fight brother! Hahaha. What you say is true. While it is true that “you will figure it out in the ring”, there can always be a few helpful things you can give to a fighter. Tell him what to watch for or what to expect. I am fairly new to boxing, and I am very grateful for your site. I have learned a lot from reading your posts. For the head movement video, though, it was very hard for me to imagine how the movements actually defended you without being able to see what punches were thrown by your opponent. For a future version of this, would it be possible to have someone else throwing some punches so we could see how these movements work? Not a bad idea, Laura. Thanks for the feedback. That would be fun, Randy. I’ll see what I can do. Hello everybody. I had my first sparring session tonight. It was alot of fun. The main thing i learned though, and this is for the very early beginners, is that reading it is not doing it. When you read an article on here, do it. At home before you get in the ring, do it over and over again until it is as natural as breathing. I assure you if you dont, you wont be doing it in the ring while you are being punched in the face. I was not able to understand you. Can you re-phrase your sentences and place the question mark (?) at the end of your question? the movements you make are so small you cant really dodge an average sized fist. 1. I am not thinking about moving weight from one foot to another. I am thinking about moving my head. 2. The most effective slipping movements are the subtle ones, the smaller the better. Trying to slip a punch as wide as possible is basically what all the beginners do. It makes sense to them and that’s the only way they know how to strategize their slipping. It’s a learning process we all go through. In principle: you want to evade the attack using the least amount of effort possible, AND counter as soon as possible. Utilizing a wide slip goes against both of those principles. 3. The fist (even with a glove on) is not that big. A subtle slip a few inches in any direction can be all you need. However, with proper setup and understanding of your opponent’s movement, rhythm, angle, etc, you can actually slip punches moving only an inch. How is this possible? (Here comes another can of worms that I’m afraid to explain because it’ll only further confuse you if you’re not at the place to understand it.) Truly effective and skillful slipping requires not only the technique of moving your head but also the strategy of making your opponent aim off center. If you can get your opponent to miss the center of your head, then your head doesn’t need much movement to evade his attack. Furthermore, if you know how to move your head well, you can slip many punches without actually going anywhere. There are many instances of this on Youtube if you look up all the best boxing defense videos. And lastly…if you’ve ever been in the ring with a pro, then you will know what I’m talking about. Those guys hardly move and yet, they’ll avoid all your punches. Hey man absolutely great article! The one line about rethinking head movement from a defensive move to setting up one’s offense is amazing. Thank you a ton! Thank you and best wishes to you, Byron! Hi Johnny, do you personally find it easier to move your head/hips evasively when your feet are planted? I know the general boxing advice is to stay on your toes, except when sitting down on punches, would “sitting down” apply to head movement as well? Noah, you can do both. Moving the head is generally easier with a planted feet. Moving the hips is never really possible unless you move your entire body, otherwise you’d just be wobbling your hips around in place. There are many kinds of head movements, some requiring you to be planted on your feet and others working better when your whole body is moving around. Although do keep in mind that head movement WHILE IN MOVEMENT is actually more like body movement rather than head movement. My best advice is to be subtle, move your head only as much as needed. If you’re trying to move your head too much back and forth, it won’t matter how you plant your feet–you’ll never be fast enough.